This is a novel with an ingenious premise. Those of you who have read Albert Camus’ classic novel ‘The Stranger’ will know the story revolves around a man named Meursault who one day murders an Arab man on the beach in Algiers. The reader never knows the name of the victim, doesn’t know anything about him at all, in fact. He is a nameless, faceless victim of unspeakable violence. Algerian author Kamel Daoud sets out to correct this. He gives ‘The Arab’ a name, a past, a history, a family, and most importantly, an identity. The story told in “The Meursault Investigation” a look from the other point of view. The younger brother of ‘The Arab’ — Harun — sits in a bar in Oran night after night conversing with a student studying the story of what happened on that beach back in the early 1940s and he finally gives us a name — Musa. No longer a ‘faceless Arab’ in Camus’ story, we learn of Musa’s life and how his death affected his family, something Camus’ novel never addresses and by addressing it, it begs the reader to return to Camus’ novel and reread it, this time keeping in mind the story told here. To me, it’s an amazing idea. As the story unfolds, we not only learn about Musa and how much Harun looked up to him in his younger years, we also learn how his death and how the fact that his body was never recovered lays the groundwork for the family dysfunction to follow. It helps to know something of colonial and post-colonial Algerian history since there are many questions about ‘Arab identity’, existential questions in which Camus himself addresses in his novel, only from ‘Meursault’s’ point of view. After the killing, “the Arab” is removed from the scene; a mere ‘plot point’ to move the story of “The Stranger” forward. Giving ‘The Arab’ a name and a history, fleshes out these existential questions, which reach well beyond Meursault’s inquiry. An interesting plot device is to use Camus’ novel as if it were written by Merusault himself; having told “his” story to the whole world, it was now time for Harun to come forth and tell the story of the actual victim — the victim who is killed and then removed from the scene almost as an afterthought. 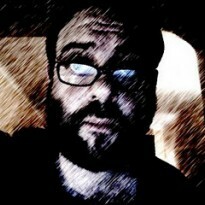 Who was this man Meursault killed? Did he have a name? A family? A life? All these questions are ultimately answered as Harun struggles with his own issues of guilt and existential terror. As the story unfolds, we learn that Harun’s story begins to eerily parallel that of ‘Mersault’ himself. The novel both praises and critiques “The Stranger”, offering us a different take on the classic novel. There are also interesting deconstructions of ‘Meursault’s’ name, which have revealing and quite interesting connotations. Having read this, I now want to go back and reexamine Camus’ work, keeping this novel in mind. This is an extraordinary work that is destined to be read along side Camus’ novel in the coming years. You almost have to now since you get the feeling that “The Stranger” is no longer complete, that a gaping hole is left that the reader will ask questions about. 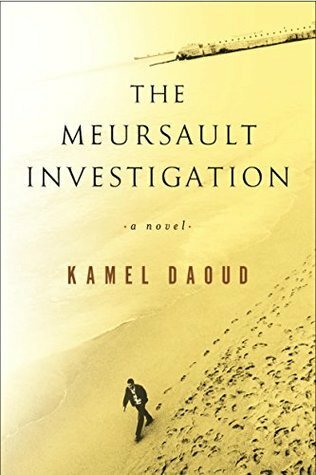 “The Meursault Investigation” fills in this hole and does it brilliantly.